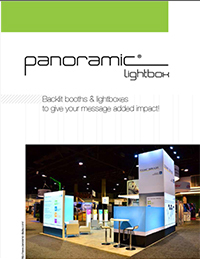 Panoramic Lightboxes give your messages added impact! 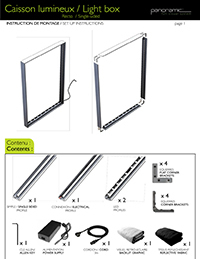 Panoramic Lightboxes are the next generation of backlit solutions, increasing the visual impact of your booth when combined with the already known benefits of the classic Panoramic modular system. It offers homogenous lighting and easy to install graphics with silicone edging to streamline your set-up and dismantle. Panoramic full visual system is a solution 100% dedicated to your image.